9 pm, Saturday night. 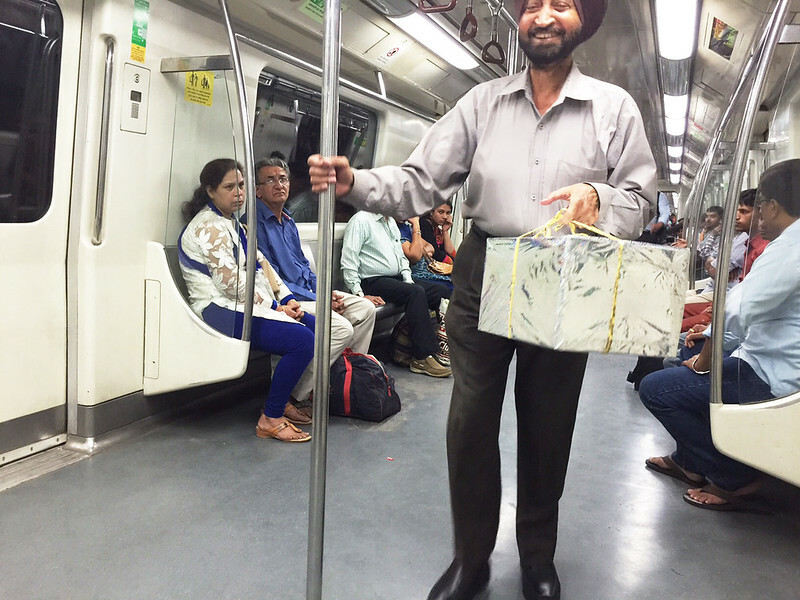 The Delhi Walla is on the Blue Line of the Delhi Metro. The train halts at Mandi House. The platform is almost empty. Only one person steps into the coach. 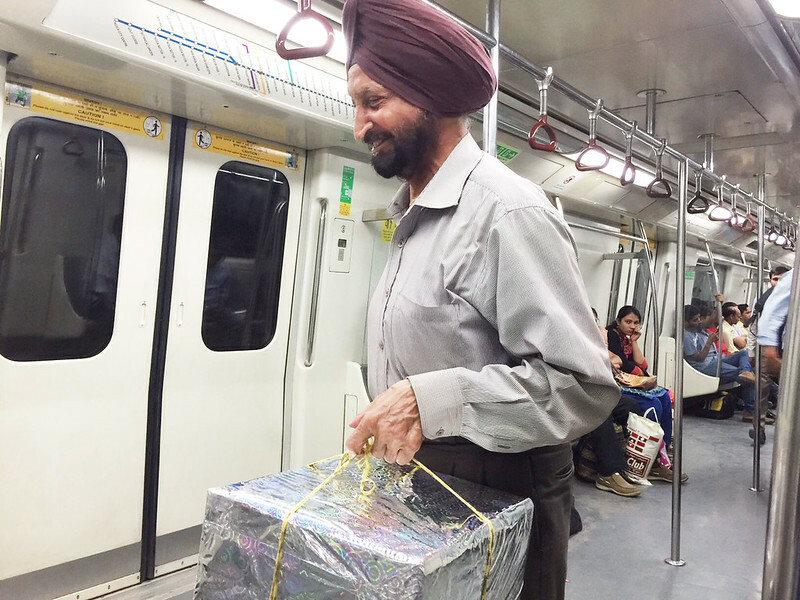 He is holding a big box wrapped in a silver-colored gift paper. He looks around and settles down on a seat reserved “For Old or Physically Challenged’. Somehow, the man seems familiar. Very familiar. He is wearing a turban and has a beard. The penny drops. This is that man from the Wenger’s, the famous Colonial-era cake shop in Connaught Place. 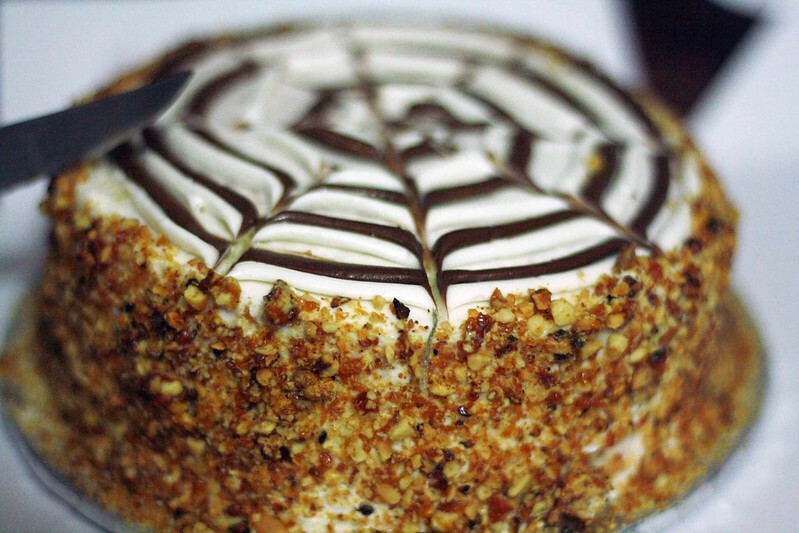 He is always seen standing behind the counter, chatting to customers and taking orders for birthday cakes. 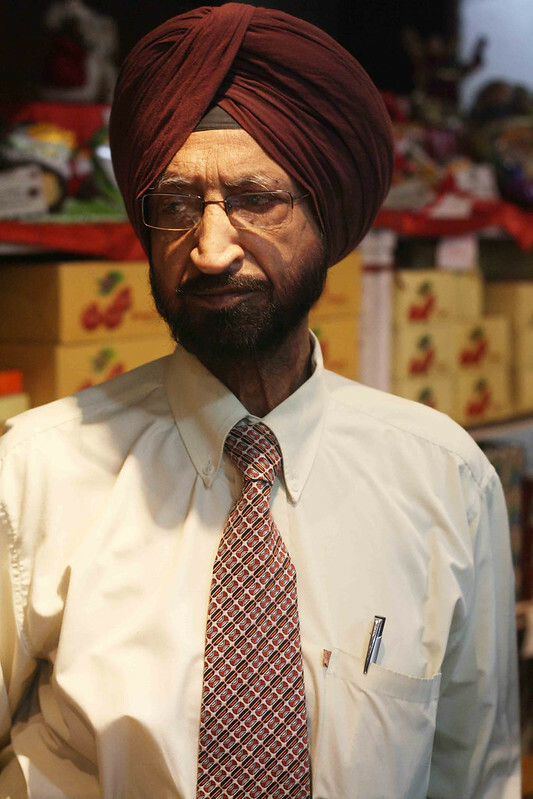 Charanjeet Singh, the manager at the Wenger’s, had completed 50 years at the bakery in 2014. Probably every Wenger’s loyalist knows him–if not by his name. His calming presence is magical; it is the balm to sooth down the bakery’s everyday bustle. Tonight, coming across him on the Metro train is like being unexpectedly treated to Wenger’s delicious butterscotch cake. “I’m going home,” Mr Singh tells me in his trademark low voice. He lives in West Delhi’s Vikaspuri. It will take him almost an hour to reach. The gift he is carrying is not a cake, but a present from a friend. He says he was delayed at the bakery because of the weekend rush; otherwise he is at home by this hour. But why board the train from Mandi House, and not from Rajiv Chowk Metro station, which is just a two minute walk away from the Wenger’s? 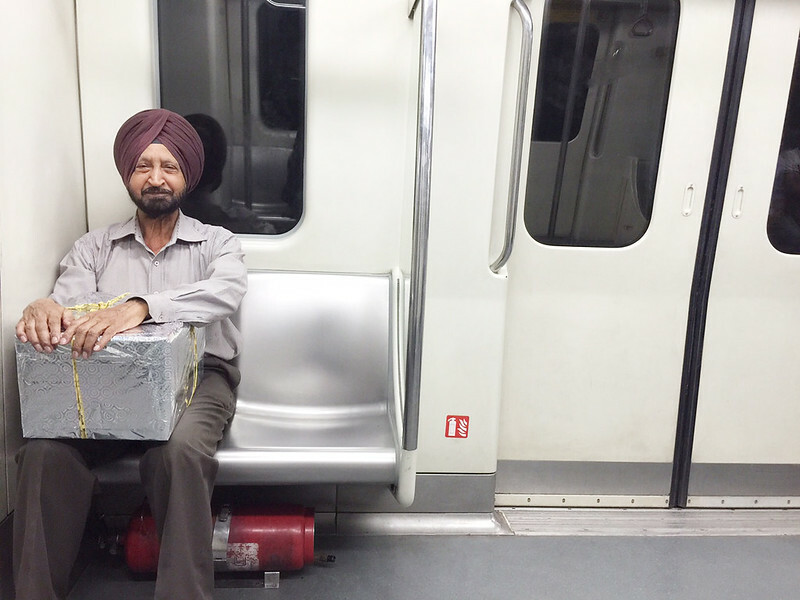 “So many people get into Rajiv Chowk that it is impossible to get a seat from there,” he says. 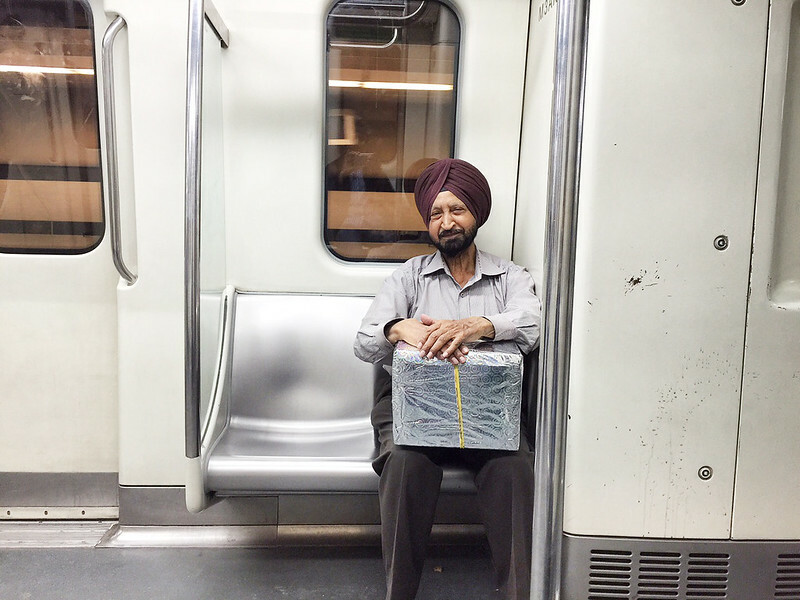 “So, I always first take a train to Mandi House, and from there I get into the reverse train.” Mr Singh, however, adds that people tend to offer him their seats in crowded coaches because of his age. (He is 70). The train arrives at Rajiv Chowk. A great crowd rushes in. The coach gets jam-packed within a minute. Mr Singh remains seated, looking as calm as if he were standing behind the counter at the Wenger’s. You are back! We missed you a lot, Mayank. I missed you a lot, Naushirvan.